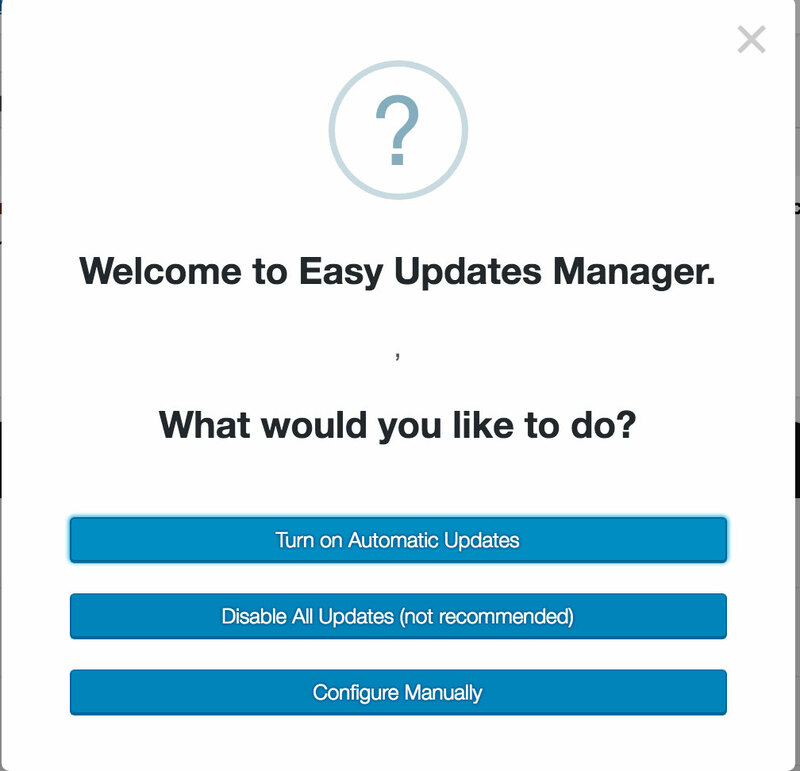 When Matthew Sparrow and began working together on the future of Easy Updates Manager, we never imagined it would be as successful as it is. When we launched our new react-powered Dashboard, we have several complaints that things take too long configure, especially in regards with automatic updates. So we added tracking to the plugin to determine the use-cases. It was immediately apparent that auto-updates were problematic for people to turn on. To combat this new-user syndrome, we have included a new modal for new users. You'll notice we recommend automatic updates as the first option. We'll play around with button colors later. The current state of auto updates is unknown. Right now we are tracking 130 users who have autoupdates on WordPress 100%. Stay tuned for more.